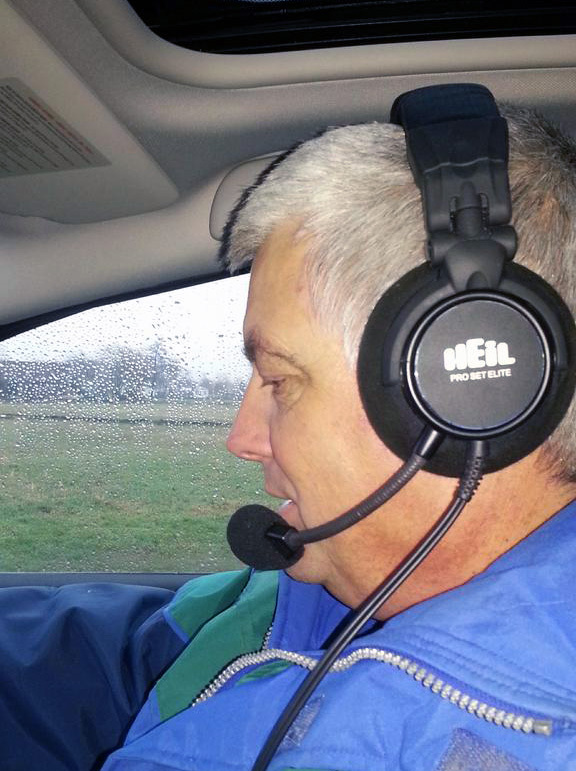 Info on my radio amateur activities (like WWFF nature park activation), background to my station and general ham radio info (propagation, portable gear, etc.). Fixed the hexbeam and worked some "new ones"
Just under 2 weeks ago I damaged my hexbeam: I let it drop off the mast. It fell in such a way that one of the spreaders was broken. Luckily Christian (DL1ELU) was able to ship spare parts quickly - I received them just before Christmas. Yesterday I spend a couple of hours fixing the hexbeam. I also redid all the wiring taking good care to not skew the spreaders. This time I fixed the wire clamps by attaching tape to the spreader just next to the clamp (on one side) to keep the wire clamps from moving inward. were still nicely in place - the tape did the job. No skewed spreaders this time. There was quite some wind and I had to cope with a damaged screw in one of my tube clamps (I built my own alu mast using strong tube clamps to secure the different sections). This all meant the mast was no higher than about 9 meter (30ft). 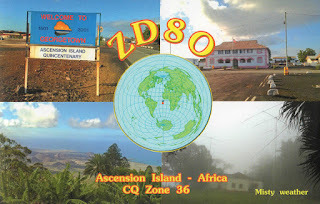 I did however work one new DXCC (YI) and several "new band" DXCCs (VU, 9M2, HZ, LU). 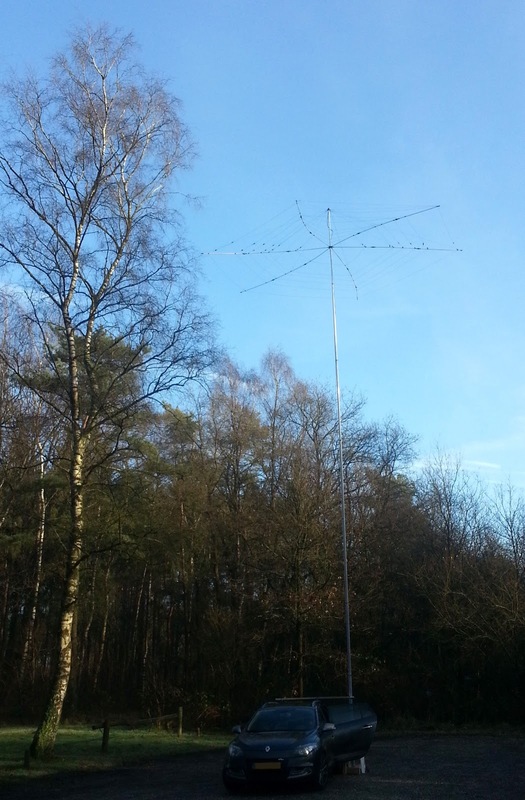 I also added a new VK area to my log (VK3) and worked Paul VK5PAS again. Paul came by during one of my PAFF activations earlier this month. Maximum distance was towards LU, as I worked him long path. I tried to work VP8LP on 15m and 17m but it was a zoo with loads of people calling but not listening. So I gave up (as did VP8LP who turned his beam to VK/ZL). Good fun on the last day of the year. Yesterday afternoon I was over at Zuidlaardermeergebied in the north of The Netherlands to activate a new PAFF reference (PAFF-065). I found a good spot quickly, having prepared this visit using Google Maps. I started out on 20m to work quite a few stations with signal levels below average - except for the Moscow area. Amongst the OMs calling in was Gerard PA1AT. I met Gerard before on the air and know he did some PAFF activities as well. Gerard lives only a few kilometres from PAFF-065 so he decided to pay me a visit. Before Gerard turned up I logged a very unexpected DX contact with VK5PAS. Paul is my first ever VK5 contact and he extended the maximum QRB for my PAFF activities by a few thousand kilometres. The amazing thing is that he copied me with 56 although conditions did not seem particularly good - with lots of QSB. After I had been active for about one hour on 20m Gerard turned up. Time for an eyeball QSO and change of operator - new experiences for a PAFF activity that normally consists of yours truly on his own logging calls like there is no tomorrow. The amount of calls logged dropped dramatically. 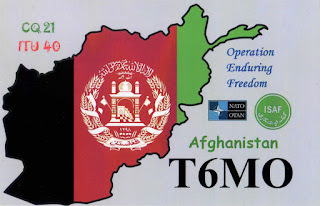 Mainly because we chose to go up to 15m and 17m hoping to work some more DX. It turned out that these bands were not in a good shape and rather quiet.I logged 58 calls in the first hour (not too busy) and we logged only 5 calls in the second hour. In the end going down to 40m might have been a better idea. However, PAFF-065 is now "on the map", VK5 in the log and I got to work my first multi op station, as well as exchange experiences with Gerard - all in all a pleasant pre-XMas afternoon. Merry XMas and a good start of 2013 to all! For a complete list of my activations as PH0NO/P (WWFF, PAFF, FFF, WCA, COTA-PA) click on "PH0NO activities"
As blogged before I was able to add quite a few "new ones" to my log during CQWW 2012. 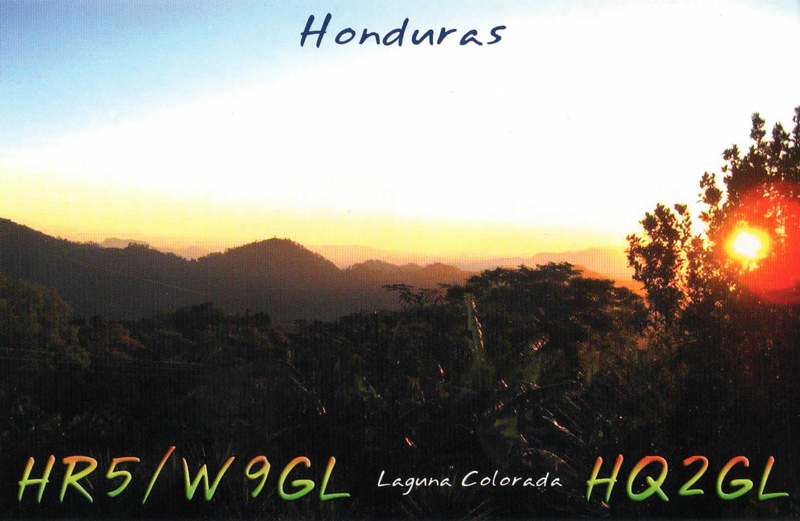 The last weeks the QSL replies on the cards I sent out directly to the DX stations or their managers have been coming in one by one. Yesterday I saw a message by Hans PA3FYG that he would go out in the afternoon activating a nature park not too far (50-60km) from where I live. As I had visitors I did not have the time to set up my sloping wire running into the garden. 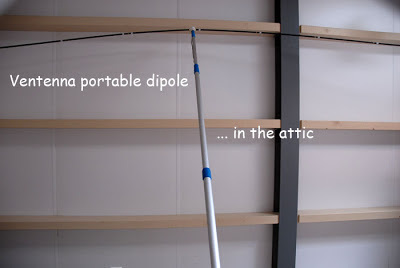 In stead I quickly set up my shortened dipole by Ventenna in the attic. I chose for a 40m configuration as that would be a band I at least had a chance of being copied by Hans. Keeping an eye on the cluster I did not see any activity by Hans. Later I learned Hans had only been active on 20m that afternoon. As my antenna was still set up I decided to do some WSPR later in the evening using my FT-817. 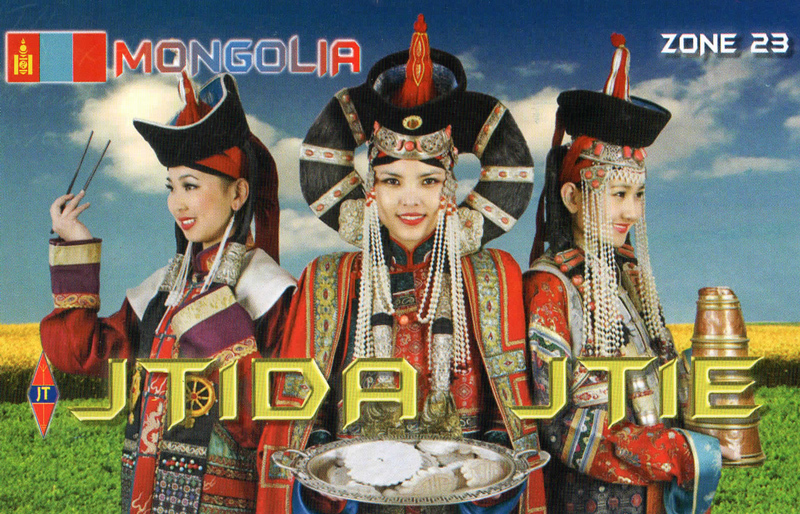 I copied stations from Ukraine and the UK (peculiar as both are more or less off the ends of the dipole..) and was only copied by stations in the UK. Nothing really to keep me busy until I looked at the cluster. Checking the cluster I saw a lot of interesting DX spots posted by EU stations on 40m, including VO1, ZD7, VK7 and D4. Not something I see everyday and something worth to dive into. 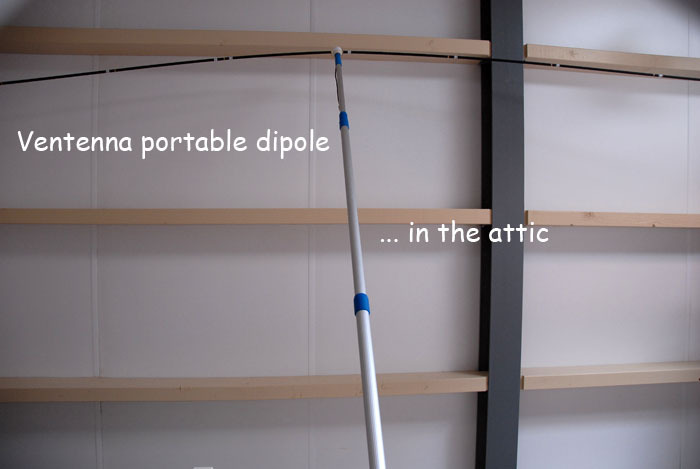 With a dipole in the attic there was no chance I would hear them, let alone work them. Therefore I set up a push up mast through my attic window and pushed the dipole up about 4m above the roof. Listening around I did copy Peter ZD7FT but only just above the QRM (S4-5), not enough for a contact. VO1 was (just a bit) stronger but there was no way I could get through the pile up. There was no VK7 as far as I could hear and D4 was also under QRM level if he was still there. Bummer.. 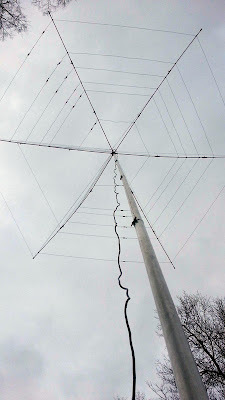 It seemed that pushing up the antenna had been a waste of time until I noticed a lot of spots about RTTY contacts and remembered there was a OK RTTY contest this weekend. Amongst the spots were EU stations spotting east coast NA. I had never worked NA on 40m, so I quickly turned to RTTY and indeed copied a few NA stations. 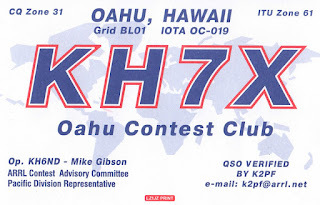 Strongest of all was K1SFA from Massachusetts and she became my first US station on 40m. After Khrystyne I logged three more US stations (NY, NJ). 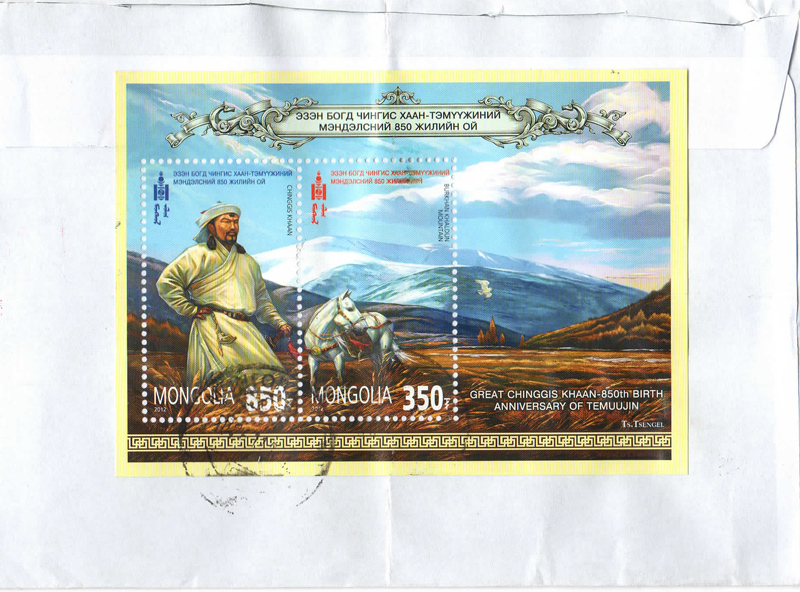 Looking around I found and logged two more DXCCs I never worked before on 40m: VA2 and 5C. So, in the end I was very pleased with the results in the hour I spent on the air. Apart from the first testing day I have now been out and active with the portable HexBeam by DL1ELU three times. Once during CQWW (when I used the 10m yagi most of the time) and two Wednesday mornings - which are my moments off with both of my kids going to school now. I am getting quicker in setting up and folding the beam. I still have not completely solved the skewing of the spreaders but that is mainly due to lack of time (I rather get the antenna up and start working with it than work on it). The antenna has brought a number of new DXCCs and / or new band DXCCs. The first time I worked ZL1 - to my surprise - and JA4 and JA5. During CQWW I worked the west coast of the US and Canada and some Caribbean Islands (9Y, PJ2, VP5). 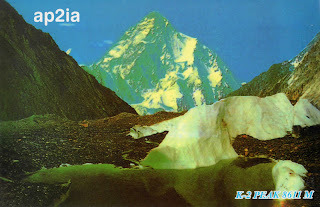 Then on Nov 21 I worked LU2, JA5 (long path) and ZD7. 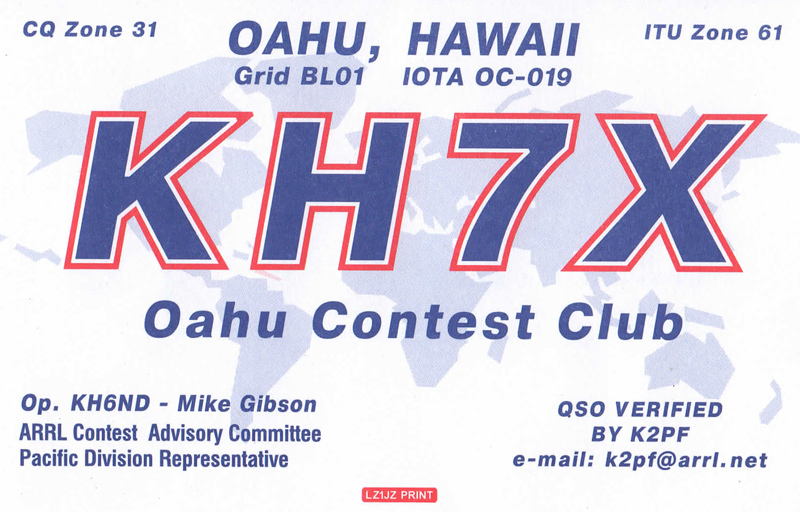 Two weeks later I worked 5T0 on two bands, ZD7 on a new band and VK2 long path. All with 80-90 watts from my FT-857d. Keeping in mind that I am only active in a short time frame - I only have 3 hours in which I have to load the car, drive to a suitable location, set up all the stuph, do some radio-activity (<2h), break it all up, get it back home and unload the car in time to pick up the kids - I am pleased with the results. I tried ZL9 last time but with the limited amount of time I have, I am not comfortable spending too much time hunting down one station, especially when there are crazy pile-ups. So I let it be.